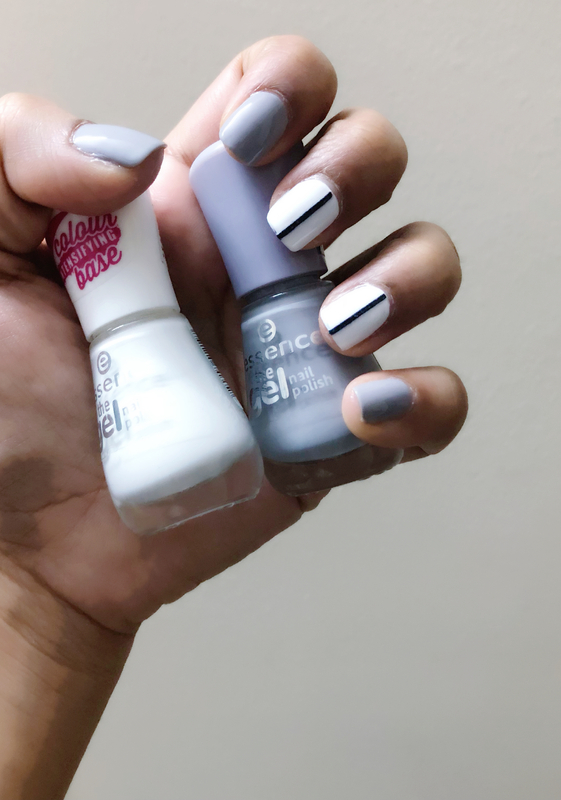 There’s a specific shade of grey nail polish that I’ve been on the hunt for and I finally found it this week in the Essence The Gel Nail Polish collection. The number and name of the grey shade I’ve used is 37 Serendipity and I’ve teamed that with a white nail polish on 2 of my nails to spice up the look. The number and name of the white nail polish is 33 Wild White Ways and it’s a gorgeous intensifying base colour as well. 37 Serendipity from the Essence The Gel Nail Polish collection is the perfect sophisticated, light grey shade that I was looking for. I have a ton of nail polishes from the Essence The Gel Nail Polish collection and I have to say the quality of these is amazing, especially for the price you’re paying. I have 2 coats on for both polishes in these pictures and as you can see they are beautifully opaque and shiny. 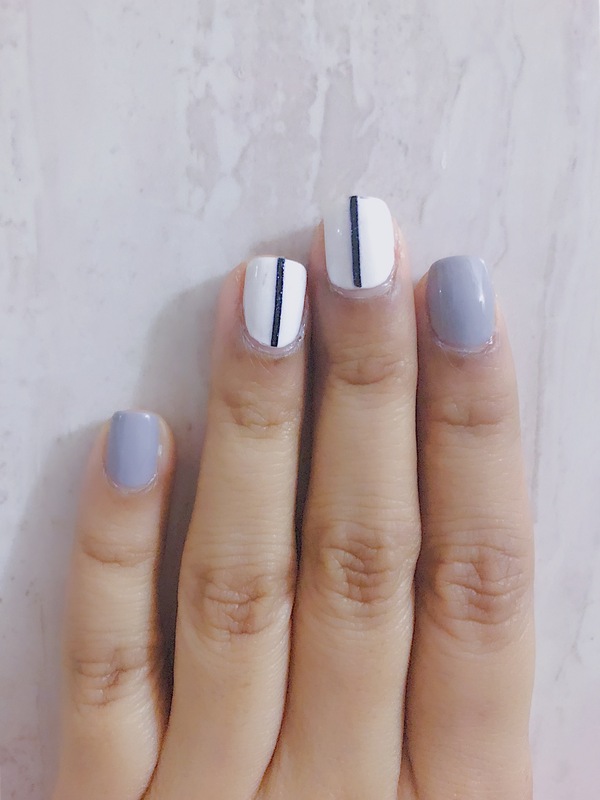 Also, I’m very new to nail art, but I think the black stripes work so perfectly over the white base. I love these polishes and can already tell that I’ll be wearing them a lot. The formula is smooth and it goes on flawless….such a sweet bargain at Rs. 100/- !!! 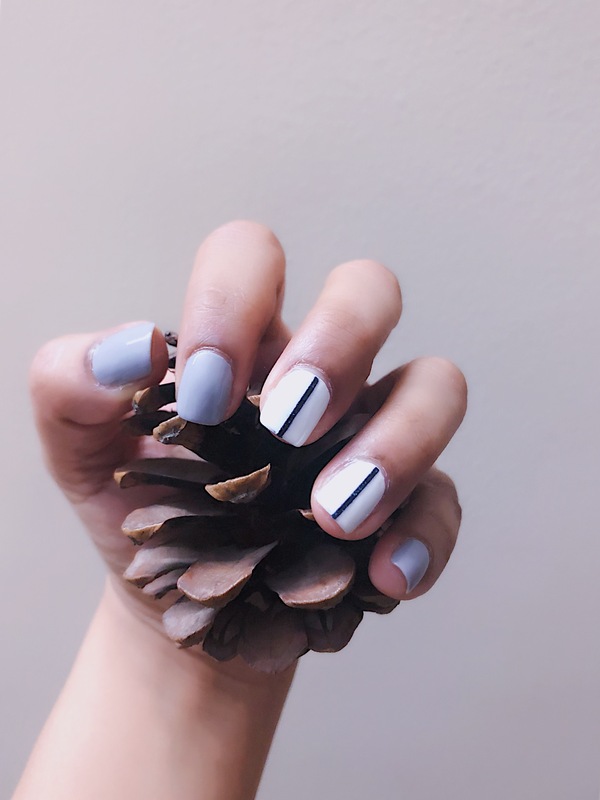 Did you like this manicure?